Vetafarm Avian Insect Liquidator (RTU) is effective in controlling pests on contact . It protects birds from reinfestation by providing additional 6 weeks protection. It easily penetrates into the plumage of birds to kill mites and lice. 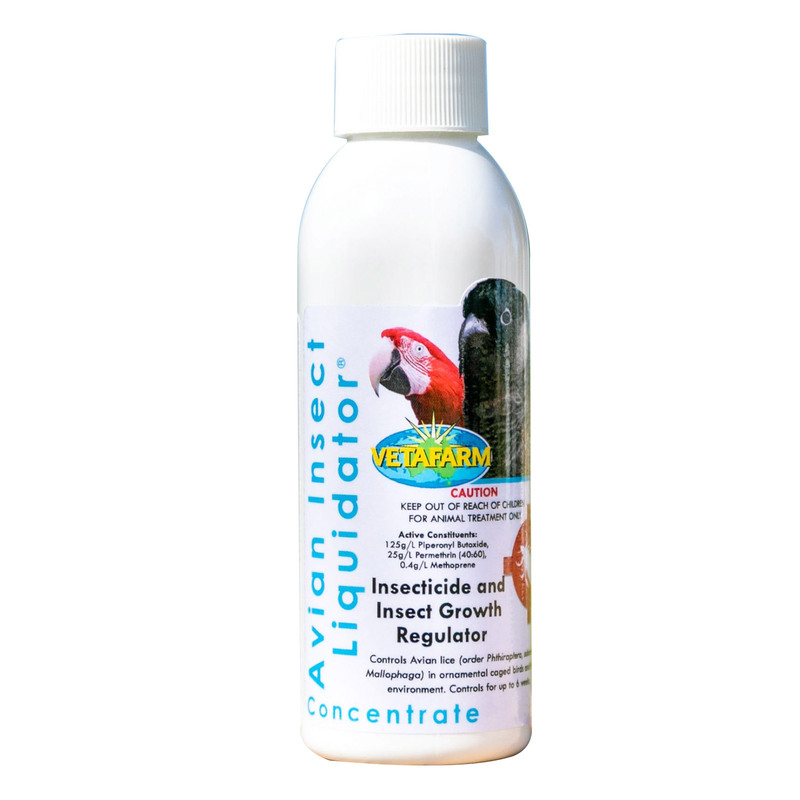 Avian Insect Liquidator is totally safe for birds. Apply liberally to the bird. Thoroughly spray the birds’ environment concentrating on cracks and crevices where insects may hide and lay eggs. For scaly mites, ensure that the legs are well covered.